A cervical spinal stenosis diagnosis is most often made in elderly patients and those who demonstrate severe abnormal structural changes in the central canal due to congenital, developmental or injurious conditions. Cervical stenotic change is commonplace as we age, with most people showing at least minor narrowing of the central canal, particularly from C5 to C7. This essay will explore the diagnostic process for cervical spinal stenosis and will detail the various characteristics of both symptomatic and asymptomatic versions of canal narrowing in the neck. Cervical stenosis is often suspected simply due to the expression suffered by the patient. Basically, this means that the actual spinal stenosis symptoms suffered may provide a clue as to the nature of the source process. In order to confirm a suspected diagnosis of stenosis in the neck, advanced imaging studies will need to be performed and evaluated. MRI is the best method of achieving this goal, although CT scan and even x-ray can be useful, especially for identifying some particular causes of cervical spinal stenosis. If canal narrowing is seen on the imaging study and the symptoms correlate, then the patient is usually formally diagnosed. However, it is crucial to remember that the diagnosis of stenosis can also be made when no symptoms are present. In these cases, it is vital to understand that most mild to moderate stenotic changes will not produce pain or neurological dysfunction. First, always clearly express the exact nature, location, duration and severity of every symptom to your doctor. Do not assume any symptom is or is not associated with one another. 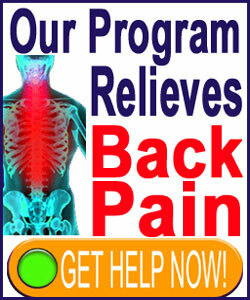 Next, seek qualified care from a spinal neurologist for best results. Finally, once diagnosed, do your own independent research to ensure that everything you have been told makes perfect sense. Remember, you are still responsible for your own health and wellbeing, regardless of being under the care of 1 or 100 doctors. In summation, we want to re-establish that initial statement that cervical stenosis is commonplace. Most patients will show the signs of central canal impingement as they age, yet only some will suffer symptoms. 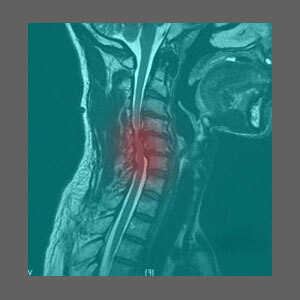 If you are diagnosed with spinal stenosis in the neck and are over age 55, then you are actually quite normal. Now, if severe symptoms are present, you are now in the minority. To learn more about the diagnosis of spinal stenosis in the cervical spine, or anywhere in the human vertebral column, talk to your orthopedist or neurologist today.